By the end of the decade, more than half of humanity will be digitally connected in living, learning and working. This part of humanity uses terms such as Social Media, Mobile, web-based applications, industry 4.0, digital business models, Internet of Things, Big Data etc., to describe this phenomenon, which influences our daily life as an individual and part of a global society. Whilst for many of us digital networking is all around us and has become a matter of course, for others it has associations with extensive challenges or even existential fears. The amount of data and information, which would have taken a whole lifetime to reach our predecessors over one hundred years ago, today inundates digitally connected people in a single day. Being connected digitally substantially changes the ways businesses compete successfully. 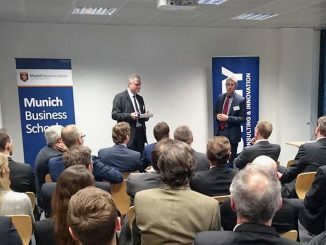 By entering the field of research around digitalization, the Munich Business School is seizing on a global megatrend, which is developing economic power comparable at least with the invention of the steam engine or the automation of industrial production. Digital transformation will affect all industries and increase considerably the need to be able to innovate rapidly. Intelligent technical systems, which are connected together across the “Internet of Things and Services”, form the bases for designing new business models and innovative value-adding structures, as part of a future-oriented approach for businesses at all stages of the value added chain. The intelligence of systems, which make adaptive, robust, forward-looking and especially user-friendly applications possible across all industries will be particularly significant. 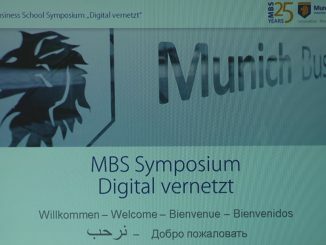 As digital transformation will affect all areas of life and work in the future, it is particularly important for Munich Business School that its graduates, as part of their studies, gain the ability to evaluate digitalization and to be able to plan, direct and master the design dimensions responsibly. This is also reflected in the research questions for degree theses, which are currently being worked on a MBS. For example, in her Master’s thesis, Beatrice Mazzucco has examined ongoing digitalization and its effects on the fitness industry. The fitness market, which is already growing strongly , is being supplemented on one hand by wearables and on the other hand by digital fitness content in numerous online gyms and fitness applications (or apps for short). At the end of 2014, there were around 9 million registered members of over 8,000 fitness and health clubs in Germany, the country with the highest number of fitness club members in Europe. Measured by the market penetration – the ratio of gym members to the total population of the country – Germany is in a relatively mid-table position with 11.2% (Norway 19.6%, Sweden 16.6% and the Netherlands 16%), despite the high absolute number . Nevertheless, in 2014 the industry continued the ongoing trend for growth seen in recent years with 6.1%. At the same time there were already 358,000 people registered in online gyms, of which approx. one fifth paid a monthly fee of between five and 15 Euros�  This total is also growing consistently. The range of online products and services is very varied, and the ability to use these with a smartphone, tablet, laptop or TV is a matter of course for many users. A wide variety of training units (or workouts) can be called up at any time and exercises can be watched in detail. Digital devices are more and more playing the role of personal trainer. Anyone who wants to train just needs the right fitness app. Freeletics from Munich is a successful example of this. Its fitness app with high intensity workouts using bodyweight exercises has already attracted over five million users worldwide in around two and a half years . In comparison, McFit, the largest fitness chain in Europe, only had around 1.2 million members in 2013 . A further use of the Freeletics app is that it also offers a communications platform for joint workouts outside and so offers an easy way of forming training groups for individual athletes. Amongst other things, linking compatible apps to wearables and fitness trackers increases their attractiveness for users who want to develop their stamina. Profiles for runs or cycle rides are recorded using the GPS function. As well as data for distance, speed, duration, calories burnt off and heart rate, the apps offer many other ways to support the design of training programs. There is also the option to integrate training plans. In addition, the software allows direct evaluation and graphical reports on the training performance achieved. The features of fitness applications are rounded off by helpful extras such as the choice of playlist appropriate to each training unit. Currently Runtastic is an established and popular app for athletes working on their stamina . As a result of the growing trend for fitness and health, the number of consumers who are basing their lifestyle on awareness of health and sustainability is also growing. The whole LOHAS target group (Lifestyle of Health and Sustainability) has increased by around one quarter between 2007 and 2015 . Because of the diverse range of opportunities on offer online, many consumers no longer feel it is necessary to go to the gym to train. The increasing demand for fitness alternatives outside of the fixed gym is presenting new challenges to the industry. 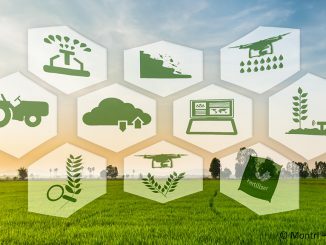 This market, which is already highly competitive, is being encouraged to implement sustainable changes, specifically by the influence of new digital technologies and consequently changing consumer wishes. The challenge for gyms consists of recognizing potential new competitors for what they are and reacting appropriately. 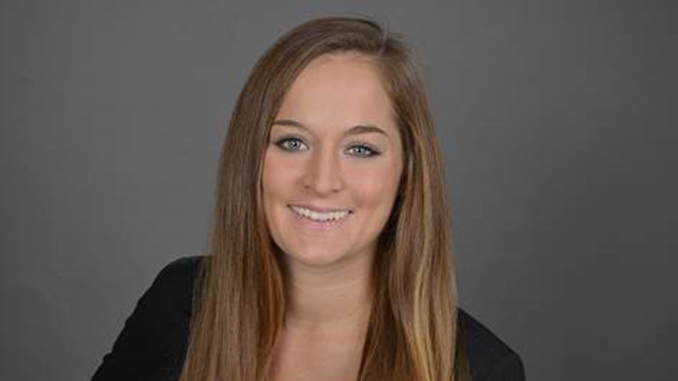 As part of her Master’s thesis, Beatrice Mazzucco has examined and analyzed the topic of digital transformation in the fitness industry. She has investigated what effect ongoing digitalization is having on the fitness market and what developments are happening as a result. The question is whether and to what extent existing gyms are re-examining their business model and adapting it if necessary, and to what extent online products and services are in competition with them. Research question 1: To what extent do digital fitness products and services represent direct competition to fixed gyms? Research question 2: Which target groups prefer using online products and services and which prefer offline products and services? Research question 3: To what extent must gyms re-examine and, if needed, restructure their conventional business model? In an online survey with 157 participants, Beatrice Mazzucco proves that digital fitness products and services are having an effect on the fitness industry and must be seen as competitors to conventional gyms. The results of the online survey show that digital fitness providers have a clear advantage over classic gyms especially with the collection and evaluation of data. Fitness apps collect personal data, document training units and prepare statistics on these both for the customer and also for their own commercial purposes. Wearables can send additional data such as heart rate, calorie consumption or GPS data to the apps via digital interfaces. In addition online providers benefit from their flexible and individual training products and services. Against this, classic gyms to date do not offer their members enough training documentation digitally. Even the core competency of gyms as providers of fitness equipment requires further development as part of digitalization. Based on the findings presented in her Master’s thesis, Beatrice Mazzucco advises to adopt a digital transformation and restructuring of existing business models. Accordingly, she has developed a strategical as well as a marketing concept to provide proposals and recommendations for such change processes. For this reason classic gyms are advised to adopt a digital transformation and restructure their existing business model and to display appropriate design dimensions. DSSV, Deloitte. (n.d.): Mitgliederzahl der deutschen Fitnessclubs von 2004 bis 2014 (in Millionen). In Statista – Das Statistik-Portal. Retrieved from https://de.statista.com/statistik/daten/studie/5966/umfrage/mitglieder-der-deutschen-fitnessclubs (as of January 25, 2016). Deloitte, Touche GmbH Wirtschaftsprüfungsgesellschaft. (2014): Der deutsche Fitnessmarkt. Edition 2014. Freeletics GmbH. Freeletics at a glance. Retrieved from https://press.freeletics.com/en/ (as of January 25, 2016). Computer Bild (n.d.): Lauf-Apps im Test. Retrieved from http://www.computerbild.de/fotos/cb-News-Handy-Apps-Smartphone-Android-iPhone-iPad-9920569.html#9 (as of February 17, 2016). GfK. (n.d.): Anteil der Verbraucher mit umwelt- und sozialethischer Konsumhaltung (LOHAS) in Deutschland in den Jahren 2007 bis 2015. In Statista – Das Statistik-Portal. Retrieved from https://de.statista.com/statistik/daten/studie/270686/umfrage/haushalte-mit-umwelt-undsozialethischer-konsumhaltung-in-deutschland/. (as of July 7, 2016).